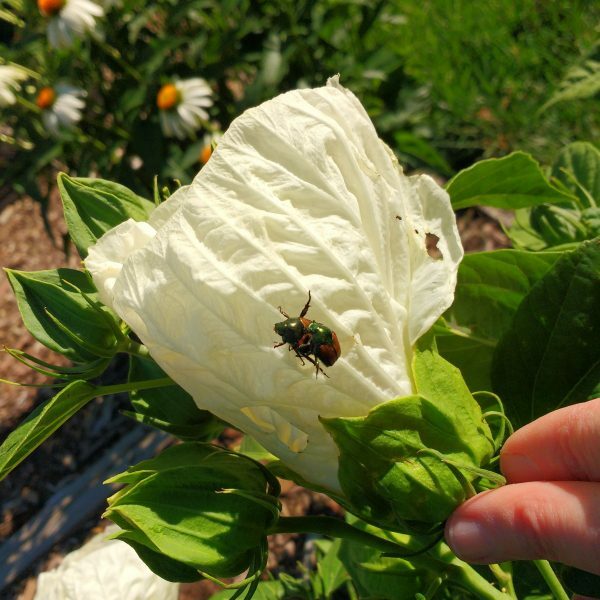 Free high resolution photo of two Japanese beetles on a hibiscus flower. Japanese beetles are a common insect. They have natural predators in their native Japan, but in North America they are considered an invasive species, and are very destructive to both flowers and leaves. This image shows two beetles on a hibiscus flower. It appears they are mating – yikes! You can see a hole in one of the petals of the flower caused by the beetles. Free image for any use.